The club welcomes visitors and new members. 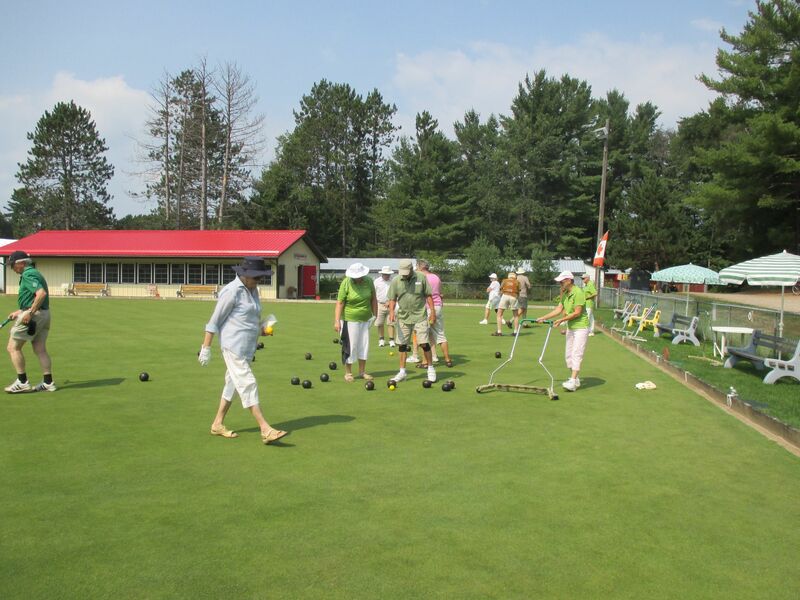 Lawn bowling has been played, in one form or another, for thousands of years, combining strategy ,competition, sociability,and affordability, but mainly, a whole lot of fun. The bowls are biased, so they do not roll in a straight line, but in a curve. This makes the skill of bowling more challenging, as it relies on bowlers judging the distance, weight and aim. The objective of the game is to roll the bowls so that they stop as close as possible to a smaller ball called a “jack”. It’s a simple game to learn–and one that takes a lifetime to master.